You may or may not be old school enough to be familiar with qPDX but we’re back from a 2+ year hiatus to be your most comprehensive guide to the Rose City’s gay high holidays. So my goal for this spot is to be one-stop shopping for all your Portland Pride 2014 needs. Let me tell you what you can expect. 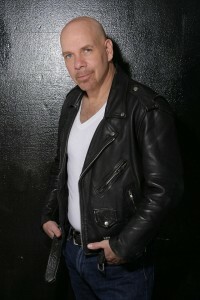 5th annual Portland Pride Comedy Showcase with Jason Stuart! Hosted by Seattle transwoman comedian, Barbara Sehr start your Pride weekend off with 2 chances for laughs courtesy Jason Stuart and Belinda Carroll. I’d try to drink some coffee and stay up for the later show as after 11 it’s R rated (though c’mon, we’re Portland, we can take NC-17). This NW Pride comedy showcase’s 5th anniversary has the pleasure of bringing you Jason Stuart, a 20 year comedy veteran with appearances on LOGO,NBC, Comedy Central and so much more! The prolific character actor has a Stand-Up Special, Jason Stuart: Making it to the Middle and CD Jason Stuart: Gay Comedy Without A Dress under his belt and just completed in Love is Strange opposite John Lithgow, Alfred Molina & Marisa Tomei. 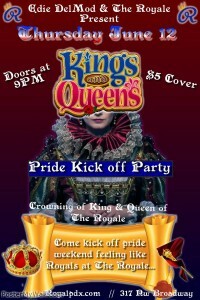 Come kick off Pride weekend feeling like Royals at The Royale. Come down and support your favorite performers as they compete for the crowning of The Royale’s first King and Queen Pageant to kick off your Pride Weekend! Unofficial dyke bar hosts a pre-pride happy hour for the ladies. Warm up your Pride on a rooftop in the Pearl. Enjoy an open bar with cocktails by Grey Goose and Jack Daniels’ Tennessee Fire. 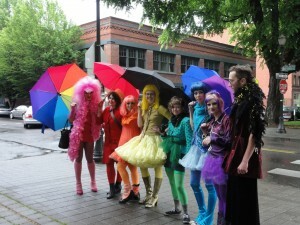 Emceed by Ms. Portland Gay Pride Lulu Lusciouss. Hot tub optional. 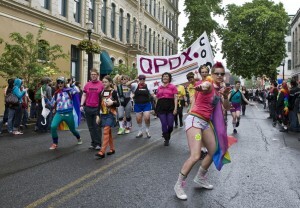 $20 suggested donation benefits AIDS Walk Portland. CCs has got you broke a$$ queers covered with no cover all weekend long. Hell yeah! DJ Francisco leads a night of latinos and latinas. We most definitely have a presence at Portland Pride and as I haven’t heard too much about what Latino Gay Pride is doing for 2014 we best get started now. Friday night is for the furry set with when this regional party takes over Branx. Portland is prime time for bears and cubs. It fits nicely with our Wild West lumberjack vibe so expect the men to be out and growling. Plus with such a miniscule price tag (and for their 5th anniversary no less! ), DJ HiFi Sean and gogo bears and laser lights (oh my!) there’s no reason no to bust out your honey pot. And if this irreverent summer preview video doesn’t rev your bear-lovin’ engine I just don’t know what will. Join the Portland Sisters of Perpetual Indulgence as we kick off Portland Gay Pride 2014 with an official Nun blessing and cleansing of glitter & holy rose water. 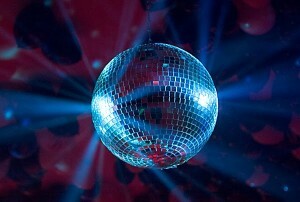 Shake off the negative energies with a fun filled disco. The event will close with a holy blessing to send you off into the 2014 Pride Season recharged and full of love, joy, and PRIDE! ► Missed our Naked Bike Ride Afterparty last weekend? ► Ready to kick off Pride weekend? How about a PANTS OFF DANCE OFF?!? Bare as you dare, dance the night away with the music of DJ Matthew Dale and enjoy food and cocktail specials all night long! With a featured menu with many options and a full bar offering delicious drinks, there are so many reasons to kick off pride with a PANTS OFF DANCE OFF! 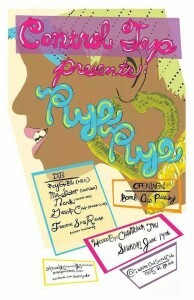 Plus, the first 100 folks in the door nab a free beer and hosted appetizers. Cash bar for those of us operating on QST (Queer Standard Time). 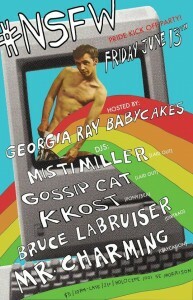 So every year after I recover a little from PDX Pride I head down to the Bay for their own cray cray gay high holiday. And my favorite part is always just hanging out in Delores park with hundreds of other queers and feeling the love. The T*Party picnic, now in its 8th year (can you believe it?!) 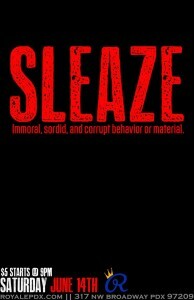 is our own version of that. Taking over Overlook Park Friday afternoon it is a free and open space for friends, family, pets and everyone celebrating “genderqueers, dragsters, genderdeviants, trans people of all stripes, and those who are busily defying the gender binary” to get together and eat anything you can stick on a grill. 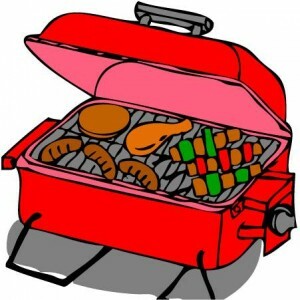 Grills, food and drinks will be provided! Please bring additional food and drinks to share. The organizers are committed to reducing waste/garbage (this is the PacNW after all) so please help ’em out by bringing your own silverware, plates, and cups! 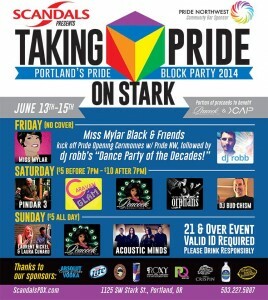 The more low key, but no less fun, of the 2 side-by-side block parties goes all weekend long and has lots of guests including Miss Mylar Black, Pagan Holladay, Summer Seasons and “Dance Party of the Decades” with DJ Robb. Sometimes you just need a big damn circuit party. 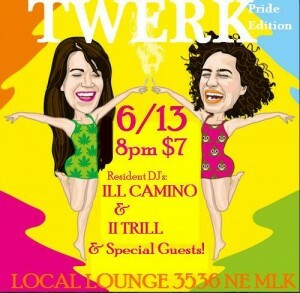 This is the classic gay dance vibe but with good Portland peeps, and there ain’t nothing wrong with that. DJ Tristan Jaxx’s hard-hitting signature brand of visceral house music commands an enthralling blend of deep, pounding sound, larger-than-life vocals and vast & voluminous instrumentals. Isaiah Esquire is the producer and headliner of the hit bi monthly show Boyeurism, which has always made me swoon. His performance style that is intensely emotive, athletic, and explosive incorporating elements of dance, burlesque, drag, and contortion. Lights by Laseronics for your eye holes. Epic [and we use this word sparingly] drama Game of Thrones returned to our television screens amid exciting promises that this season is to be sexier, bloodier and more gripping than ever. 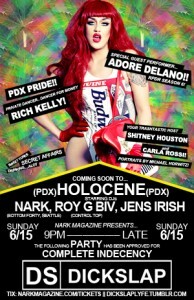 Well here in Portland it will be gayer than ever too! Set in a medieval fantasy Portland, the Gayme of Thrones Photo Scavenger Hunt presents a world of constant war where teams “Houses” of 4-5 battle it out for the iron throne. Will your house differ from the rest? Perhaps you’ll take the Daenerys Targaryen’s approach, and you hatch your dragon eggs now, so that by June 14th at 1pm they will make you invincible! Back in our non-magical realm, we need our own visionary dragon kings and queens of the LGBTQ community. Visionaries who recognize that in our state of Oregon despite our recent victory for marriage equality, the lack of social equity for the LGBTQ community still exists, and it is very much real. 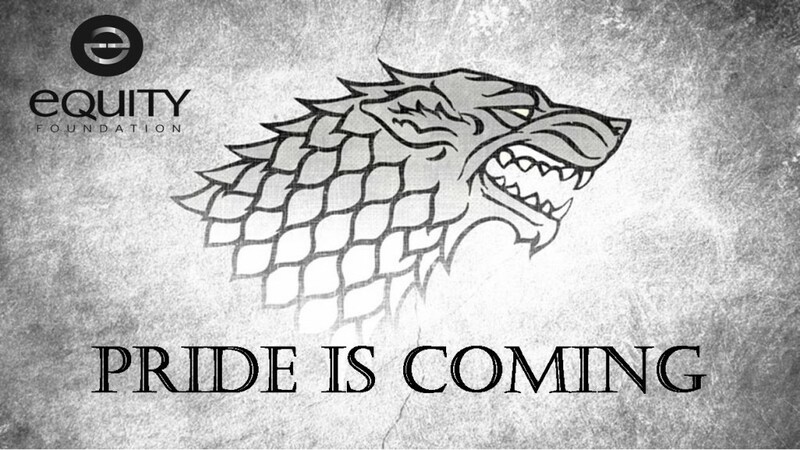 Your participation in the Gayme of Thrones: 3rd Annual Pride Photo Scavenger Hunt will benefit the Equity Foundation; an organization that funds projects and programs working to create social, economic, and political equity for the LGBTQ community. Participation in the event is free, so put your houses together, and plan for Portland Pride’s Gayme of Thrones Scavenger Hunt! In the 3rd installment of our annual Pride Photo Scavenger Hunt, you and your noble (or not so noble) house of 4-5 people will band together as you race across our great city completing tasks, challenges and feats of bravery (all to be captured on your cellular device) in an all out war of fabulousness as you compete for the crown and everlasting glory. Portland Drag King EMILIO comes to us all the way from Rosario, Argentina, and now calls the Pacific Northwest home. 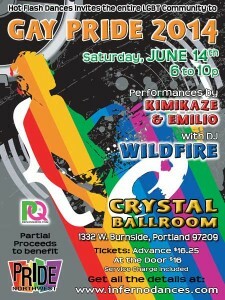 Emilio began performing in 2008 in Portland, Oregon, and has graced hundreds of stages since. KIMIKAZE! From City Nightclub kid to Ms. Gay Alaska, [OMG DOES ANYONE ELSE REMEMBER THE CITY NIGHTCLUB?! 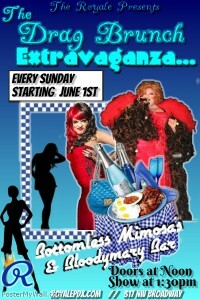 CHAT ME UP AT PRIDE, I MEAN THE REAL ME ALLEY HECTOR] cabaret performer and fan dancer Kimikaze! has been gracing stages around the country ever since her first ballet recital at the age of three. Taking a break from her current day job as a sustainable ranch hand, Kimikaze! 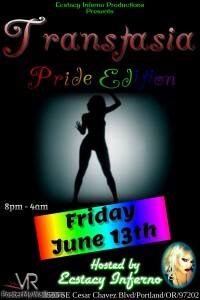 is thrilled to join us again this year for Inferno’s Pride Party! Our Portland and Seattle Go-Go’s will be amping the dance floor and stage throughout the evening. This event is open to the entire LGBT community! 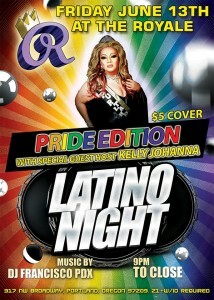 Partial proceeds to benefit Pride NW. Don’t worry we listened to you…..This year we will have more satellite Bars, Fans, and a separate entrance for ticket holders. 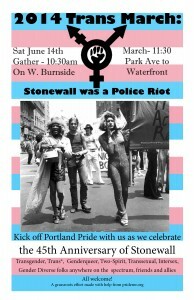 Saturday is a big day with Pride NW’s first official Trans March which kicks off in the morning. You’ll have enough time in the afternoon to take a disco nap and maybe a costume change before the Dyke March later in the day (now I know this will not all be the same people but believe me if I have it in me I’ll be at both just sayin’). It is also the 45th anniversary of Stonewall so it’s about damn time we had our own Trans March, seeing as this is who we owe all these damn June celebrations to. This event is actually every Sunday (RAD!) but the special Pride Edition is just a touch earlier so you won’t miss the parade (I know I know, just stay up all Saturday maybe?). So nurse that hangover with some hair o’ the dog and join Ecstasy Inferno and some of Portland’s most beautiful, crazy and fun entertainers at an awkwardly early hour. 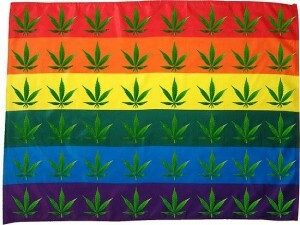 A distinctively alternative Pride scenario for movers, shakers, tastemakers, and you. Your downtown Pride doesn’t have to be passé. Come enjoy Pride Sunday with your fellow queer and allied community activists, cheerleaders, artists, qweens, proud marys, deviants, enablers and you. Come enjoy the sites from PICA’s lovely gallery and veranda as we take in the sunshine and the beautiful view of downtown Portland, love on each other, and celebrate yet another year with this amazing community. 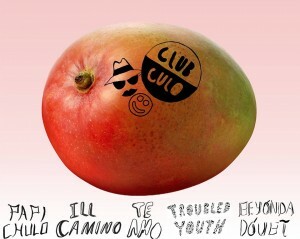 As per usual… Don’t forget the Disco!